Why advertise in your local newspaper? Local media – in print and online – is the most effective combination for driving consumer action. Local media is nearly four times more trusted to provide relevant information about the local area than commercial TV and radio. Local media is an action medium, consumers are more than twice as likely to act on ads in local media (51%) than ads on TV (23%), magazines (19%), social media platforms such as Twitter and Facebook (14%) and commercial radio (14%). Local media readers are more than twice as likely to act on ads in local media (51%) than ads on TV (23%), magazines (19%), social media platforms such as Twitter and Facebook (14%) and commercial radio (14%). Local media (52%) is nearly four times more trusted to provide relevant information about the local area than commercial TV (14%) and commercial radio (11%). 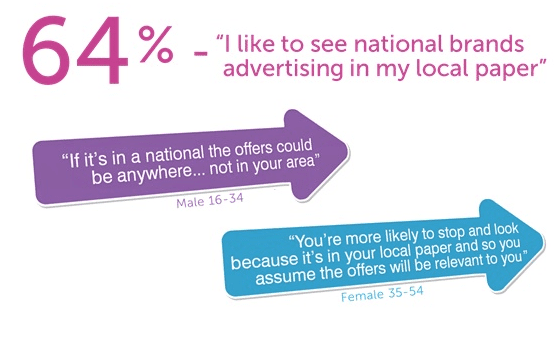 88% of readers are reassured that a product will be available locally if they see it advertised in local media. Corporate community involvement is important for 93% of people, with 84% more likely to buy brands that give something back to the community. 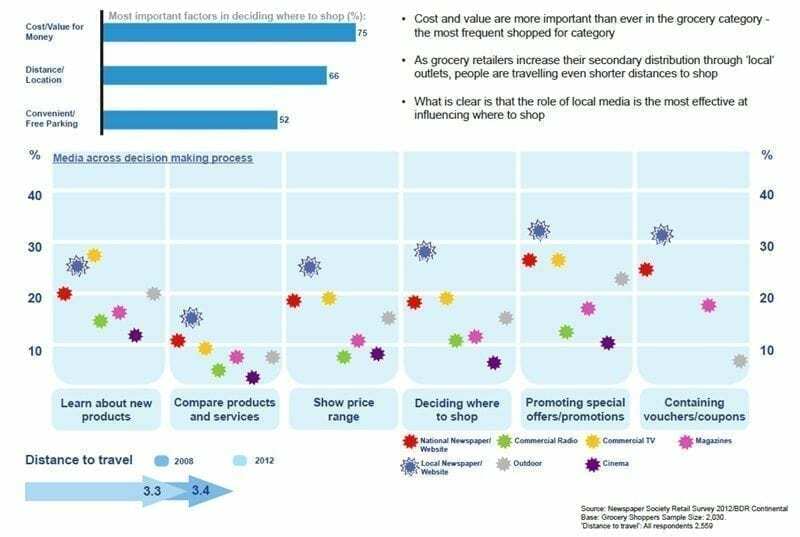 Local media is the most useful paid-for media for comparing products and services, showing price range, deciding where to shop, promoting special offers and containing vouchers. 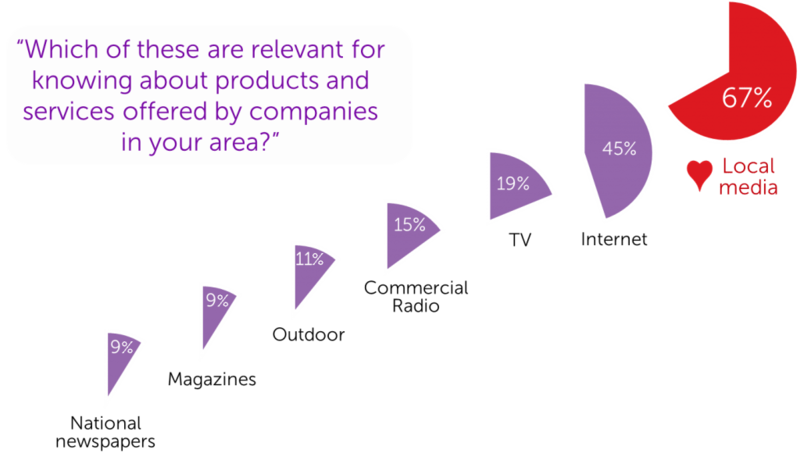 Forty-one percent of respondents, the highest figure in the survey, decided where to shop as a result of seeing advertising in local media – ahead of supermarket promotions (25%), direct mail (21%) or advertising on TV (19%). Research and Studies Attributable to Local Media Works. 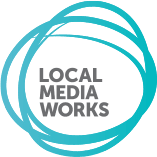 Local Media Works, part of the News Media Association, is the home of marketing for local newspapers and their digital platforms, helping advertisers and agencies to better understand the context and power of local media and sharing best practice across its membership.